The second(and last) bug I noticed was in the foundry, where the floor under the lava would rise to avoid pickups and items bein' stuck underneath. Well, that's exactly what happened with an item the boss dropped. The floor that picks up the stuff clipped through the item and brought up all the health, weapon-xp and item orbs except for the item itself. The image is kinda non-sensical since it shows the floor itself, but I figured I'd just take a screenshot anyways to remind me that it did indeed happen. Hi Melee Chan! Welcome to the forums! Someone else reported the egg scambler bug, and I DID just push out a fix for that, since it blocked progression. The other bug (the lava destroying your item) is one I THOUGHT I fixed, but perhaps I didn't...so I'll have to have another look at it. That fix might be awhile in coming. Can you recall which boss you fought? Then, this gun, it's very fun but quite bugged. Each canon shoot separately, on lower level, when the 1st canon on the left shoots, the projectile comes from the canon on the right. 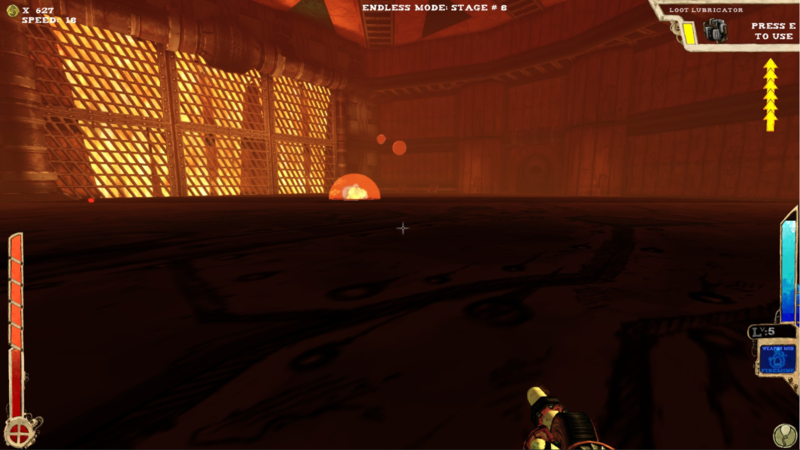 On level 5, all projectiles start from the middle of the gun. My other gun was working right, aiming around crosshair. I could not retry after restarting a game because I can't start with this gun. My name is not Melee-Chan, but I think I know what room has the issues. If I recall correctly, which I do, it's the room in which Mama Spinbot is found. It has deepish lava pits and the lava rises. 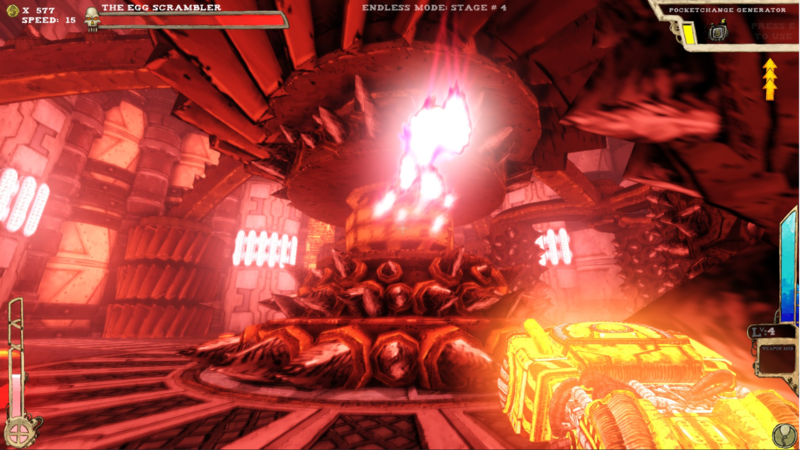 After the boss is defeated, the loot falls down and the metal floor rises up to protect the player (and loot) from the lava. Except the item that falls down does not seem to collide properly, it just clips through. This can probably be fixed if the floor rises more rapidly. Or, well, if the items just stop clipping weirdly. EDIT: Bug in the final level, you know the one. It's sole secret is kind of bugged because of the elevator platforms clipping into the rewards. I mean, the rewards clip right the hell back through, but it looks weird and sometimes you can't collect them anyway. Also, my claim of Champion enemies only spawning in the foyer was wrong after all, they do spawn in other levels. The problem is is that they spawn so rarely, and in such small quantities (like, only one amongst a thousand others), and their buffed stats simply don't make a difference. A buffed spinbot will still die, but only greener, and isn't really much of a danger lategame. I think that the Champion rates need an increase, and that the Champion mechanics as a whole need some work. I feel that in order to make them effective, they need to make some sort of impact, they have to draw the players attention and somehow be dangerous enough that the player prioritizes them over the rest of the bullets coming at them. I just ran in to a bug with the Egg Scrambler. It dropped from the ceiling but went too far to where his top spikes were covering the second weak point. I was super confused for quite some time.